Vinilisssimo present a reissue of Os Mutantes' Tudo Foi Feito Pelo Sol, originally released in 1974. Os Mutantes showed an interest in following international music trends from the very beginning of their career, when they moved away from the traditional sounds of their native Brazil in favor of psychedelia. Even its own name gives us some clues about the ever-transforming will of the band. The continuous changes characterized the group's history until its dissolution in 1978 and, as part of that evolution, they embraced progressive rock in their final albums. Tudo Foi Feito Pelo Sol was released in 1974, when Rita Lee was already focused on her solo career and Arnaldo Baptista had also left the group due to internal and personal problems. The only original member remaining, Sérgio Dias, along with bassist Liminha, who had joined the band a few years earlier but left before recording this album, were responsible for composing most of these songs. 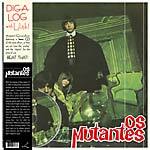 Despite the obvious differences from the original sound of Os Mutantes, this record will not disappoint the fans of the band. "Deixe Entrar Um Pouco D'água No Quintal", "Cidadão Da Terra", or "Tudo Foi Feito Pelo Sol" clearly leave aside any reference to Tropicalismo to embrace instead the hardest sounds and progressive style of groups like Deep Purple or even Iron Butterfly. The keyboardist Túlio Mourão stars in some of the most intense moments of the album, along with the energetic and fierce guitar of Sérgio Dias, who was the band's leader at the time. An example of their virtuosity is "Pitágoras", written by Mourão, where piano and guitar take you into a progressive and almost psychedelic journey with music references as diverse as jazz and flamenco. Without any doubt, this is one of the strongest songs of the entire LP. Presented in facsimile gatefold sleeve; 180 gram vinyl. "The Sixth Finger (originally the intended title for the second Os Mutantes album, which was refused by their record label) collects unreleased and live tracks, outtakes, and advertising jingles. Most of the tracks are taken from masters. 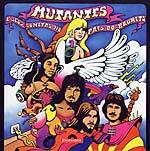 Here you'll find Os Mutantes at their wildest, rawest, and most psychedelic. Featuring many different and longer versions of some of their famous tracks. Housed in a striking cover, featuring a picture from the cancelled 'mutant' photo sessions for their second album." 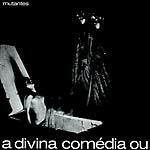 What was supposed to be Os Mutantes' fourth album. Recorded in 1970 in Paris, but either lost or abandoned and not released until 2000. English lyrics with a more faux-Tropicalia sound imposed by producer Carlos Olmes. On 180 gram vinyl. 180 gram exact repro reissue, originally released in 1970. Licensed to Universal. Third album from one of the most psychedelic, influential, playful and distinctive pop entities to ever come out of Brazil. Essential in the Tropicalia canon. 180 gram exact repro reissue, licensed from Universal. Originally released in 1972, this is the last album to feature all three founding members of the band (although Hoje é o Primeiro Dia do Resto da sua Vida was released that same year as Rita Lee's solo album). Songs include the surprisingly synth-oriented "Balada do Louco," freak outs like "Cantor de Mambo" and "Dune Buggy" and the anarchic anthem "Posso Perder Minha Mulher, Minha Mãe, Desde Que Eu Tenha O Rock And Roll." 180 gram exact repro reissue, officially licensed from Universal. "Absolutely brilliant debut from 1968 with a wild & crazy mixture of psychedelia & Brazilian music, with killer fuzz guitars, effects, Beatles influences. An incredible set of great songs that sound today even more fresh and modern than in 1968!!! Includes an astounding fuzzed-out cover of Jorge Ben's 'A Minha Menina.'" Exact repro reissue on 180 gram vinyl. Originally released in 1969, the explosive second album from Brazil's essential tropicalia band. 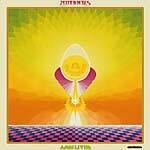 "The most blatantly psychedelic of these three albums with warped references to traditional Latin American music. More of a heavy rock sound is present here than on the debut, with plenty of scuzzy psychedelic guitar work, and a Moby Grape vs. 13th Floor Elevators mood. 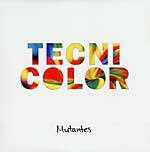 Blended as per Mutantes usual with an assortment of odd-sounding electronics, and samba dance rhythms."